Continental has developed a tyre specifically for electric vehicles which will make its first appearance on the Renault Twizy next year. Although the new Conti.eContact tyre will initially be a niche product Continental is anticipating a big increase in global demand with electric vehicle registrations predicted to increase to 1.5 million in 2016 and 2.8 million in 2020. Peter Robb, passenger brand manager at Continental, said that Continental has a number of implementation projects with original equipment manufacturers and he “expects to see more coming on board next year”. Continental is also producing a winter tyres version of the Conti eContact tyre which will be introduced in 2013. The tyre has new dimensions to reduce rolling resistance. It is narrower than a standard tyre but has a larger outer diameter, which means it can carry the same load. There is less material in the sidewall which enables more flexibility and ensures that less energy is lost, again helping with rolling resistance. Tyre noise has been reduced by having a high number of lateral sipes and no lateral grooves. 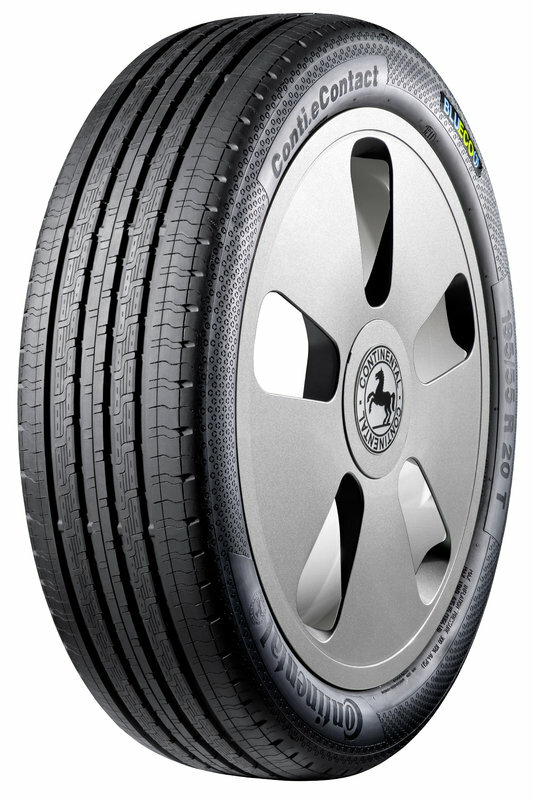 Continental has also created a ‘BLUECO’ label which will be used to identify its electric vehicles tyres.